Thank you SoCozy for sponsoring this post. As always you guys know, all thoughts and opinions are 100% my own. I’ve raved about SoCozy before on Instagram so now I’m bringing the raving to my blog. 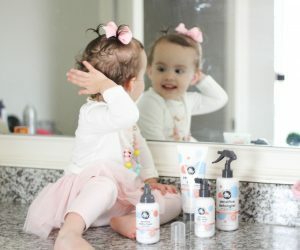 I have to share that our favorite child hair care products have now expanded! 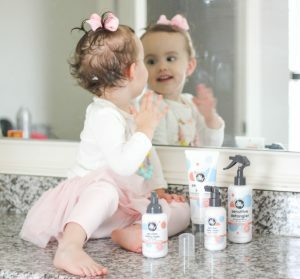 Izzy loves helping me do her hair & with sensitive skin I really need to use products that are safe and gentle. Alright mamas, run to your favorite store (Target duh)! In the baby section you will find the new Hush line which is dermatologist and allergy tested. So they are pretty much perfect for the sensitive scalp of you baby, toddler or child. The new line includes Hush Sensitive Serum, Hush Sensitive Foam, Hush Sensitive 2 in 1 and Hush Sensitive Detangler. This is the only company we have ever trusted to use on Izzy’s hair. Izzy loves helping me put the foam in her hair. It holds her tiny curls in place all day. If these photos didn’t melt you like they did me, I don’t know what will. Guys go check out SoCozy we really do love this brand and I seriously pumped about this new line. It’s a great line!! Wait until Izzy gets longer hair. The detangler will be a lifesaver ?? 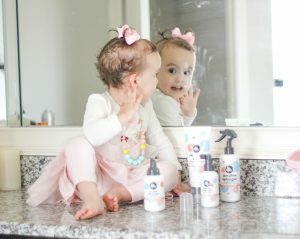 My baby has had a sensitive scalp since birth! I love SoCozy! We can’t function without their curly line! This really does seem like a great line of products. And I can’t get over Izzy’s cuteness!